Shannon Stacey: 100 Bloglovin Followers: Thank you! I just wanted to say thank you SO much to everyone who has followed me on bloglovin'. I can't believe I have 100 followers! 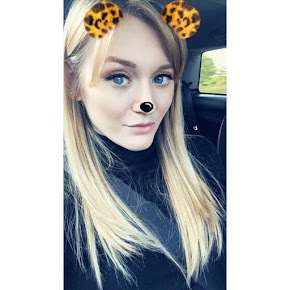 I started blogging because I believed I would enjoy it, and so my family and friends could also see what I'm up to while I'm away at university. I then started writing product reviews, because I enjoy reading them myself. I never imagined that anyone would read this blog, let alone people I have never met! So thank you so so much, I really do appreciate it. I appreciate it so much in fact, that in the next few weeks I will be holding a prize giveaway competition to thank you all so much for your support. This upcoming week is incredibly busy for me, so I'm afraid it may be a week or longer before it is launched, but I promise I will get around to it as soon as I can. It will only be something little, but I hope lots of you enter, and I will reveal more details about it nearer the time, once I've worked out how to go about doing an online giveaway! Wow!! Congratulations!!!! You really deserve it!!!! Thank you :) I couldn't believe it when I saw it this morning! Just trying to decide which things to giveaway... difficult!